What If Pope Francis’ Enemies Are the Same as Pope Benedict’s? One can govern without worrying what his enemies are doing. And one can govern by trying to use his enemies, or at least by putting them in a situation where they can’t do any damage. Pope Francis’ strategy seems to be the latter. This is the dominant picture that emerges from the series of appointments and choices he has made during the almost two-year period of his pontificate. While it seems that those who opposed Benedict XVI have risen again, it also seems that Pope Francis is seeking to neutralize his enemies by assigning them new posts. The latest appointments which give the impression that this is Pope Francis’ approach are the seven members of the new ‘College’ established to deal with ‘delicta graviora’ that Pope Francis has created within the Congregation for the Doctrine of the Faith. ‘Delicta graviora’ concern ‘most serious crimes’, and include sexual abuse of minors and certain serious abuses associated with the Sacrament of Penance. The monthly meeting of the 25 cardinals and bishops who are members of the Congregation – the so called ‘feria quarta’ – examine an average of 4-5 appeals of priests who believe themselves to have been unjustly condemned. The newly established office is charged with lightening the workload of the Congregation. All of its members are well versed in canon law. However, most of them fell from the limelight as a consequence of Benedict XVI’s curial reforms. Some of them slammed the door behind them. Others made a more subtle retreat. The president of the new College is Charles J. Scicluna, currently Auxiliary Bishop of Malta, who previously served for ten years as Promoter of Justice (i.e. public prosecutor) within the Congregation for the Doctrine of the Faith. Scicluna was one of the main players during the height of the clerical sexual abuse scandal, and he promoted and enforced the Vatican’s ‘zero tolerance’ policy. Now back in the service of the Congregation, he draws again from his earlier experience. But it is rumored his appointment as auxiliary bishop was also due to some backbiting. Cardinal Francesco Coccopalmerio, President of the Pontifical Council for Legislative Texts, has turned 75, the age of retirement. A recent rescript made even more stringent the requirement for people who reach the age limit to leave their posts. Coccopalmerio has become one of the most active supporters of Pope Francis’ line, and he also authored a debatet proposal for curial reform, with no results. His appointment in the College will give him an excuse to remain in Rome. 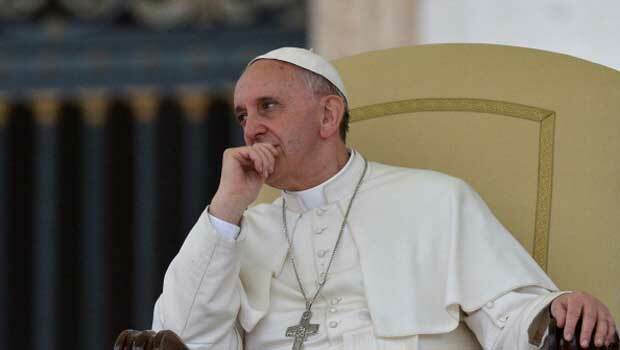 Some people are even talking about the possible abolition of the Pontifical Council he currently heads: it was needed to respond to juridical questions that arose after the Second Vatican Council, but in Pope Francis’ era it is said it is no longer considered necessary. Another member of the College is Bishop Juan Arrieta Ochoa de Chinchetru, number two at Legislative Texts. At the beginning of Pope Francis’ pontificate, he seemed to be a rising star, and sources maintain that he was entrusted with drafting the Chirograph through which the Pope established the Pontifical Commission for Reference concerning the IOR (the so-called Vatican Bank), where he has served as secretary. Arrieta seemed to be up for an important post in the Curia, and perhaps he will make the cut. At the moment, however, it is unlikely that that he will do so. Cardinal Zenon Grocholewski is currently Prefect of the Congregation for Catholic Education. He turned 75 and is going to retire. He did not invite the sympathy of “Francis’ world” when he strongly opposed Kasper’s line at the recent synod of bishops. According to rumors, he will be soon be replaced by Victor Fernandez, Rector of the Catholic University of Argentina and Pope Francis’ ghostwriter. Cardinal Attilio Nicora and Archbishop Giorgio Corbellini are respectively member and supplementary member of the new College. The first lost the battle over financial reform in the Holy See. The initial version of the Vatican’s anti-money laundering law focused too much on Nicora himself, given that he was then considered a guarantor by the Vatican’s Italian financial partners. At the time, however, the Vatican was confronted with an emergency created both by an investigation of its finances that the Italian state prosecutor had opened and by the requirement that it satisfy the terms of a Monetary Convention it signed with Europe in 2009. The Holy See then changed the law, made it conform to international standards, built a financial system that enjoyed Europe’s support and produced the first ever Vatican regulation on financial oversight, published last week. For some time, Archbishop Giorgio Corbellini – one of those involved in the Vatileaks investigation – was President ‘ad interim’ of the Authority for Financial Information (AIF). He is the lone transitional figure from the earlier Authority led by Cardinal Nicora to an Authority that now can act as a third party, one that is led by a layman with an international profile (the former AIF Director, René Bruelhart). On the other hand, Cardinal Giuseppe Versaldi, president of the Prefecture for the Economic Affairs, was a victim of Pope Francis’ own financial reform. The Prefecture he presides will be redesigned, and probably absorbed by the Secretariat for the Economy, when the big reform of Vatican finances will be completed. Cardinal Julian Herranz, appointed supplementary member, is a skilled juridical and canon law expert and former president of the Pontifical Council for Legislative Texts. But he is also the cardinal who led the commission of cardinals to investigate Vatileaks, and this might have a certain weight to Pope Francis’ eyes. Finally, Archbishop José Mollaghan is also a member of the College. He was Archbishop of Rosario, Argentina, but Pope Francis did not want him there. He was appointed a member of the College even before the rescript that outlines its functions was published. He moved to Buenos Aires, having obtained from the Pope permission to remain in Argentina, but no longer in Rosario. The way the College was established provides an example of Pope Francis’ modus operandi. The College almost seems to be a remedial refuge for marginalized prelates Pope Francis wants to keep close at hand. The modus operandi may be described this way: first you create a refuge, then you invent some project for it to do. So Pope Francis’ pontificate may be described as the ‘remedial pontificate’. In the next consistory, Karl Jozef Rauber, former Nuncio to Belgium, will be created cardinal. He strongly opposed the appointment of André Joseph Léonard as archbishop of Brussels, and while doing so even resorted to granting an interview that read like anti-Benedict XVI propaganda. It is rumored that he was one of those who leaked to the media a series of innuendos concerning Benedict’s pontificate. Hence, with Francis as pope, a gang of diplomats is once again front and center on stage. Under Benedict XVI, diplomats felt marginalized. Benedict read every dossier they sent to him and returned them with questions and modifications written in his tiny handwriting. But the Pope Emeritus preferred personal meetings with residential bishops during their ad limina visits, at which time he met personally with each of them for at least a quarter of an hour, asking for information about the major issues in their dioceses and keeping every detail in mind thanks to his incredible memory. The rationale was simple: when I study a nuncio’s report, I can deal with it in writing, whereas in meeting in person with local bishops I create a pastoral communion in the Church. Under Pope Francis, it’s the opposite. The bishops – very loyal to the Pope – are met in groups, and they are often handed the printed speech while the Pope speaks off-the-cuff for a while. But diplomats travel back and forth from the Domus Sanctae Marthae, and Pope Francis explains to them in person how much a pastoral approach is important for their diplomatic activity. Pope Francis has entrusted many diplomats with key positions. Cardinal Pietro Parolin, Secretary of State, comes from the old school of diplomacy. Recently he initiated a personal campaign to subject to official procedures every decision that had not yet been so treated: last week, a rescript was published that formalized the previously announced, de facto enlargement of the number of members of the Council for Superintendency of the IOR. Cardinal Beniamino Stella is the head of the Congregation for the Clergy: he is a diplomat, who previously served as Papal Nuncio to Cuba and later as President of the Ecclesiastical Academy, the school for Vatican diplomats. Edoardo Menichelli, archbishop of Ancona, will be created cardinal: he was raised by another guru of Vatican diplomacy, Cardinal Achille Silvestrini, of whom he had been number two at the Congregation for the Eastern Churches, during the ’90s. Giovanni Battista Ricca, ad interim Prelate of the IOR, comes from the diplomatic ranks as well – and it is said that he has skeletons in his closet. The fiercest opposition to Pope Benedict XVI arose from within the gang of diplomats. Vatican diplomats consolidated their influence during the last years of John Paul II’s pontificate. Later they fought among themselves in a power struggle that led to the publicatio of imfamous book s like “Via col Vento in Vaticano”. When Benedict XVI was elected, he brought a new approach with him, and step by step he replaced the old guard of the State Secretariat and established a new working method, one based more on communion than collegiality, and founded on the concept of evangelical truth. This concept can be detected – either in the background or the foreground – in all the documents of Benedict XVI’s pontificate, and it is found at the base of the great reforms the German Pope carried out: the reform of seminary admissions; the reform of the penal code of Vatican City State; the financial reform; the reform of the statutes of Caritas Internationalis and of Catholic charities. Obviously, this reforming approach did not meet only with praise. Vatileaks is one of the outcomes produced by those who were unhappy with the reforms, and who felt marginalized as a consequence of them. These individuals built up a network of contacts outside of the Holy See and had no scruples about passing on to them certain information which, while not significant in itself, was damaging to the Holy See’s image in the Church and the world. In this way these marginalized officials hoped to subject Benedict’s pontificate to blackmail. But Pope Benedict possessed the strength to resign at precisely the moment in which he believed a stronger individual could complete the reforms he had initiated in order to assist the Church to move beyond them. His decision left everyone upset. A photograph in Osservatore Romano on the day Pope Benedict announced his resignation illustrates the split: a gaggle of cardinals surrounds the Dean of the Sacred College, Angelo Sodano, leader of the gang of diplomats, while another one gathers around the Secretary of State, Tarcisio Bertone, the loyal, right-hand man of Pope Benedict. This is the split that Jorge Mario Bergoglio observed during the General Congregations – the pre-conclave meetings of cardinals. He got his first whiff of it when, during one of his speeches – according to a source – he spoke of the significance of the older members of the Curia and of the diplomats. Later, once elected pope, he indicated that he grasped what he had earlier only sensed when he explained that he did not come into the papacy with a ready-made plan for the Church, but was merely implementing what the cardinals had said needed to be done during the General Congregations. But Pope Francis also listens to Benedict XVI and has made him a sort of hidden adviser. During their first meeting at Castel Gandolfo, Benedict gave Francis a box containing the Vatileaks documents. He carefully explained the situation in the Vatican in such detail that Pope Francis was struck hard. If Pope Benedict decided to proceed with his reform project without caring too much about what others thought, Pope Francis has determined for the most part to give a certain weight to each individual’s opinion in an attempt to avoid internal power struggles. Nevertheless, he doesn’t hesitate to lash out at the Curia – as when he listed the 15 curial diseases during their Christmas exchange of greetings – while at the same time he is careful to hold them all close to himself without letting any of them know what his true intentions are. But this, too, is a defensive mechanism because the enemies of Benedict are the same enemies of Francis. Some of these still wish that the Church would think along the lines of secular criteria, while others are just looking for positions of power for themselves so they can exercise power. There are but a few who search for the Truth. It remains to be seen whether Francis will be able to govern while surrounded by enemies, or whether the latter will out-connive him and win him over to their side. For now all of his decisions show a certain inclination in favor of his enemies. But Francis’ primary objective – above all others – is to refashion a positive image of the Church. He wants to adjust its structures to fit the expectations of ordinary people in order to renew the Church’s credibility. He attempts this through gestures aimed at swaying the popular imagination, while at the same time he holds in-check everyone in the Curia who could possibly damage this new, positive image. Francis’ plan seems to be short-term in scope; he hopes to repair offenses in order to avoid being attacked. When all the offenses are repaired, what will the state of Church be? Will it still be able to shape the world? 10 Responses to What If Pope Francis’ Enemies Are the Same as Pope Benedict’s? Your analysis would be more assuring but for the recent presentation by Cardinal Maradiaga at the University of Santa Clara, where evidently he emphasized Francis’ goal to take “reform” of the Church to an “irreversible” degree. Said “reform” often appears to be approaching a rupture with Apostolic Tradition, the ongoing Magisterium of the Church and its interpretation of Scripture. One finds it difficult to see the influence of Benedict on the current pontificate. Francis’ comments in regard to Benedict have generally sounded rather condescending, and perhaps more accurately applied to himself. Benedict’s acuity is never in question. I have rarely if ever been able to say that of Francis or his cadre. His choice of Maradiaga as Coordinator of his Council of Cardinal Advisors is ample evidence of impaired reasoning, but it is surely does not stand alone. But what if he’s simply the Pope taking to heart the Petrine ministry to which he was called? If we take him at his word on everything he has said from the beginning of his Papacy until now, would we not see a person simply allowing the Holy Spirit to work, fearless of where He leads? Can the Holy Spirit contradict himself RE: communion for adulterers ? How about Papa Francesco selected men who he deemed very competent for the task? I do not think he spends as much time maneuvering through the Curia as this author seems to think. I think he looks at the job to be done, picks those competent and expects them to get on with it while checking occasionally how things are going. Sounds to me like what any smart CEO in business does. Enough with all of the intrigue, please. It is all based on gossip anyway. But surely, the most important thing right now is to maintain our comfort zones and hide our heads in the sand? The Synod was not gossip, nor a legion of other events since March 2013. It will be increasingly important for the laity to call out those responsible for the deconstruction of Roman Catholicism as it progresses expotentially for the remainder of this pontificate. The modest objections raised by those in the hierarchy and among priests are already being muted. We haven’t seen anything yet. James: I feel that it is not until the horrible truth of how our Church has been corrupted comes out–stripped from masks, the silences that cover up, the pious lies–for all Catholics to see, can there be the changes needed so we can have an honest Church, the one that Jesus meant it to be. “Invent some project for it to do?” Is this really a made-up project? Is handling the appeals of convicted child abusers really a made-up job? It seems like an important job that needed to be done faster, so that the guilty can be dismissed (and so that any innocent can be cleared). While the Congregation may be handling 4-5 cases a month, there’s probably a backlog of cases waiting, right? So this group isn’t like a Sacred Congregation for the Counting of Paper Clips (or like the patron of the Order of Malta, for that matter). The pope seems to have picked a group with a lot of relevant experience, and if some of them are near retirement or have “day jobs” that have become less relevant and less busy, maybe they were picked because they’ll have time to do this time-consuming job. I think Vatican II is the key to understanding Pope Francis. He said it during the synod. In Vatican II, the bishops became aware of great variety in all kinds of ways, including points of view. This did not end in schism, each could be himself, no one walked out, but all contributed to the result. This was because none of them had the last word, all owed obedience to the pope, however hurt they may have been. Collegiality worked precisely because of the primacy of Peter. 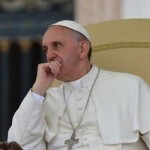 Francis sees variety as a sign of the presence of the Holy Spirit as long as what took place in the synod was “with and under Peter.” He saw John XXIII and Paul VI, not as suppressors of differences, but as a papal presence that makes sure that each can be himself, each can strive for the common good in his own way, and – in spite of our sinfulness – that it ensured that the whole thing did not end in chaos.